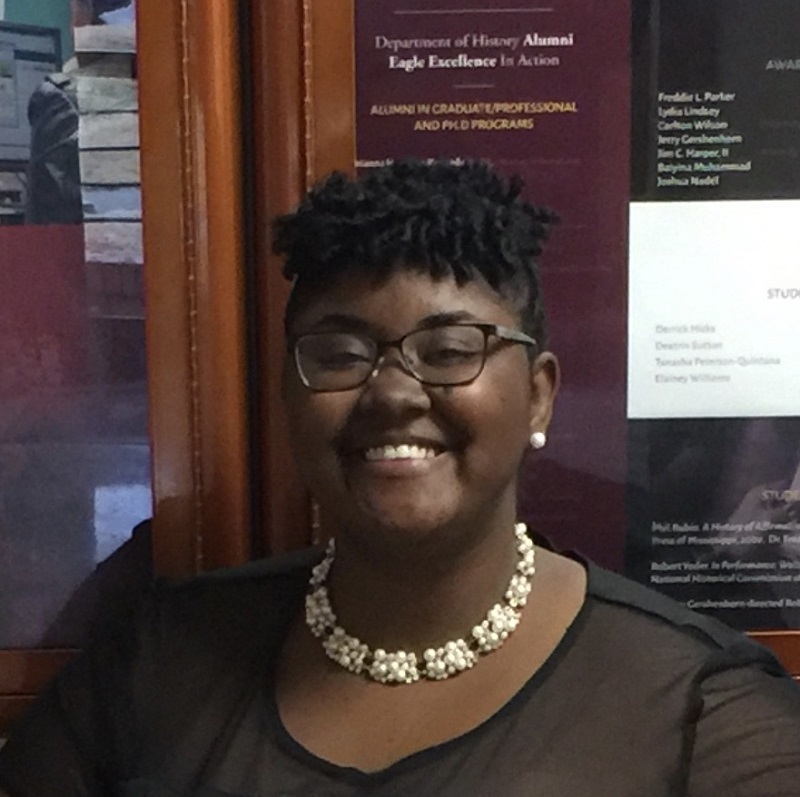 JoCora Moore, a 1st year PhD student in Public History, was born and raised in Plymouth, North Carolina. After graduating from Plymouth High School in 2011, she attended North Carolina Central University, earning a BA degree in History, Secondary Education in December 2014. In the Fall of 2015, she continued her education at North Carolina Central University to pursue a Master’s degree in History. While there, she was able to participate in several events, such as the North Carolina Youth Internship Program, where she worked with Duke Homestead in Durham, NC. Under the direction of Dr. Jerry Gershenhorn, she completed her thesis, “The Making of a Movement: The Fight for Educational, Political, and Employment Opportunities in Washington County, North Carolina, 1941-1981,” which discussed the Civil Rights Movement of her hometown. In December 2017, JoCora graduated with an MA degree in History. Public History, Museum Studies, History and Memory, 20th Century United States History, African American History, North Carolina History, The Civil Rights Movement, The Black Power Movement. JoCora’s current research will focus on the Civil Rights Movement in the North during the 1950s-1970s, with particular focus on racial riots.